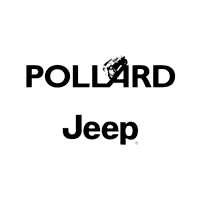 When you visit Pollard Jeep you can find inventory of all the latest models. The chance for us to aid folks in the Westminster area to buy the car they want and deserve is what we’re here for. The Home Rule Municipality of Westminster is in Colorado’s Jefferson and Adams counties. It is a suburb of Denver, and its Municipal Center is nine miles north-northwest of Colorado’s State Capitol. The Land Act of 1862 encouraged settlers on the United States’ eastern side to settle in the area. Many buffalo and antelope used to make their homes in the Westminster area. The top employers in Westminster are Ball, St. Anthony North Hospital and Avaya. Westminster has an extensive open space system and trail network. Westminster is home to many golf courses. Musician and composer Omar Espinosa, actor and comedian Frank Caeti and United States Congressman Don Leroy Bonker all have ties to Westminster. If you’re from the Westminster area and have been feeling the need to upgrade your vehicle, then please consider stopping by our website for a complete selection of new and used Jeep autos. We understand everyone has different needs of their day-to-day driving, and so we stock a variety of vehicles to ensure you find the perfect one. Have you been shopping around Colorado for a pre-owned car? Start your search with us and save thousands. The benefit of shopping with us means you have access to a wide selection of pre-owned vehicles from which to locate your dream car. Our variety of resources are here to get you a financial solution that assures you can get an affordable rate for the perfect car. Our qualified professionals can assist anyone in getting an auto lease or car loan in Colorado, even those with not so perfect credit! So please contact us. We’re excited to help! If you have got a problem with your Jeep vehicle, then bring it by and let our expert mechanics diagnose and solve the trouble. Our experienced staff will aid you in locating even tough-to-find car parts and accessories. Schedule a service appointment via our website.